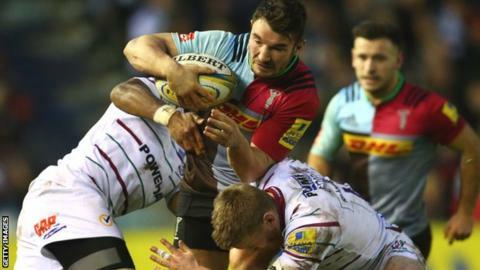 Harlequins centre George Lowe has signed a new contract with the Premiership club. The 26-year-old has scored 27 tries in 128 appearances for Quins, despite spending over a year out with a serious neck injury he suffered in 2013. "My decision to stay was a quick and easy one," he told the club website. "The club and its supporters really helped me during my long-term injury and it's something I'm truly grateful for. I want to repay the faith." Harlequins have not disclosed the length of Lowe's new deal at the Twickenham Stoop.